Sometimes you must be wondering about certain thing from reading this lil bloggie. It could be about me, the reviews, products or anything at all. There are a few readers (you know who you are!) which are closer to me and they did ask me a few question which I think is a good question! I’ve gathered a few blogging facts about me that you might be interested to know or should know. Who knows… this few facts about my blogging could answer some of your doubt? 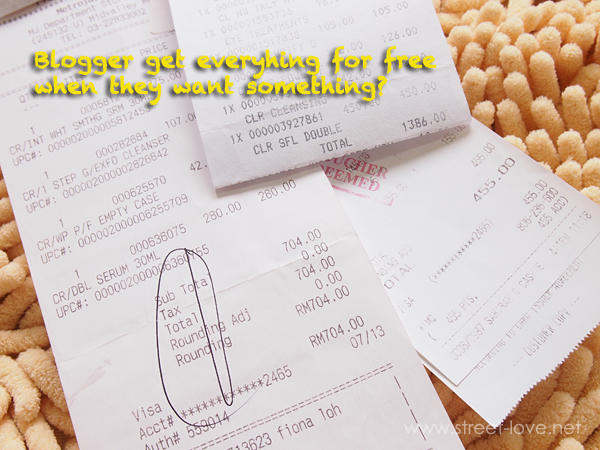 1) Blogger get everything for free when they want something. Unfortunately not for small time blogger like me. Maybe for other blogger yes but I don’t get that privilege. When I read a review online about a product and I want it…I go out and buy it just like you. I have heard stories on how certain bloggers twist brand person’s arm to get what they want and get everything their way. I just can’t do it. That’s not me. I’m still that person that live by a simple philosophy “If I get, I get. If I don’t, it’s okay. There’ll be other opportunity that will come by”. 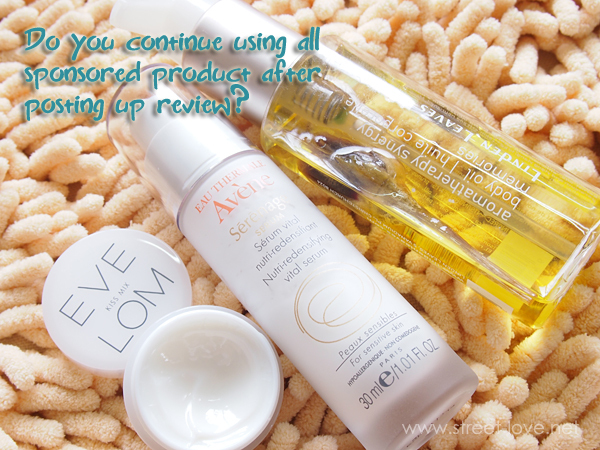 2) Do you continue using all sponsored product after posting up review? This is a good question from Angelina to me when I met her for the first time. My answer is YES. There’s a few reasons for that. 1) I don’t get sponsored product all the time so I’m grateful on every opportunity that came to me thus I don’t like to waste the product and the effort of the company who sent me the goodies. 2) I get to know prior what is the product that are to be sent to me. If it’s not my cup of tea…I’d reject it. Just like recently I rejected China Glaze’s request to send me their Christmas set because I still have many bottles of nail polish which is yet to be used. I don’t want to waste their effort and money so I said No. 3) I don’t like to waste! 3) Tomorrow’s post is not written yesterday? 4) What I normally do on most of the weekend. 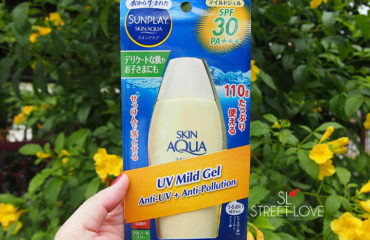 Some reader will give me suggestions on what review they wanna read (thank you for that) and although I have the product with me but I have no picture nor can I take picture immediately after work. I have absolutely no life. 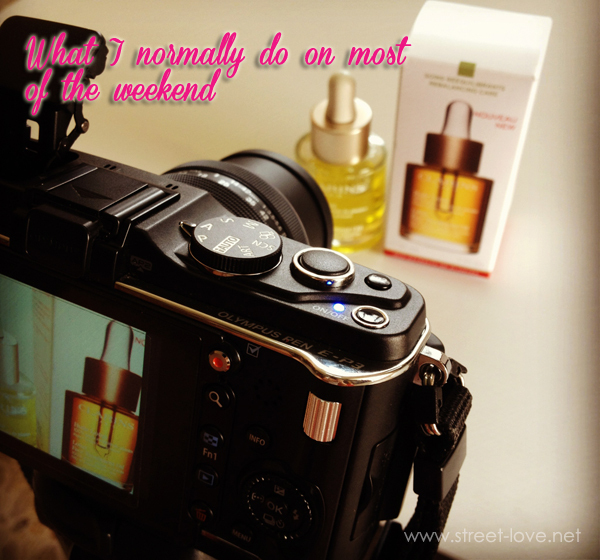 My weekday after work is filled with churning out blog post and my weekend are occupied with photographing product for the whole of following week’s reviews. I don’t have the best lighting in my house for night shoot and I don’t have enough time in the morning to shoot before work as well. 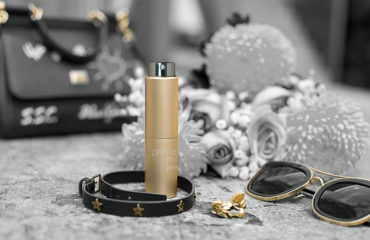 The only time I’m free to take any product picture is weekend. Blogging daily could be hard and tiring. 5) Noob in picture editing. Light whuuttt? CS whuuuttt? Often I heard other bloggers mentioning that they use Lightroom or Photoshop to edit their pictures. 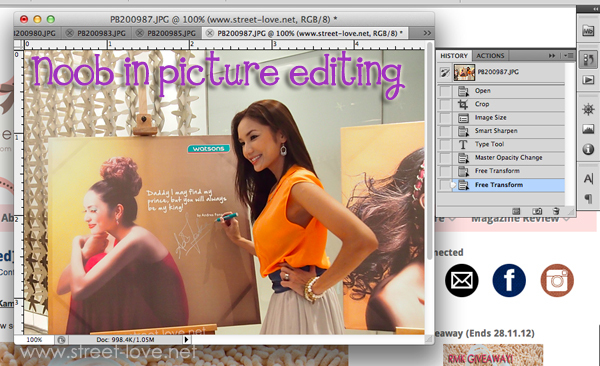 By saying editing I don’t mean resizing or watermarking picture. I mean adjusting the contrast, curve or sharpen the image to make it more sharp and clear. That my friend is way too advance for me. Me on the other hand? I have absolutely no knowledge in the creative department. All I know is to crop, resize, watermarking the picture and sometimes sharpen the image if it’s slightly blur. The only reason I have Photoshop in my laptop is because it was pre-loaded in when I bought it a few months ago LOL! Till now I still don’t know how to use Photoshop. I take it as a good thing. At least you can be assured that the “After” picture in my reviews are genuine! 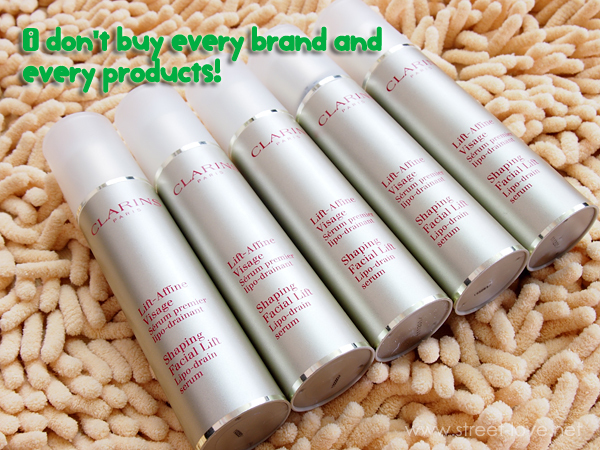 6) I don’t buy every brand and every products! Some of you may find this shocking but it’s true. I don’t go buy all product in the market and mix ALL brands in my daily regimen. 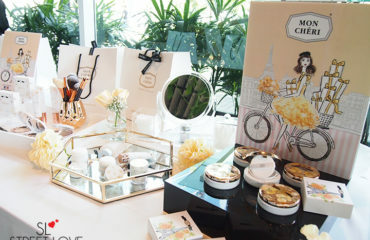 Like I mentioned before… this bloggie is running on own cost which include product purchase. You might be wondering why there’s no Origins, why there’s no this etc. That’s because I can only buy product that I’m interested to review, product that I’m suitable with and product that I’m currently using. So most of my money went to repurchasing my current skin care / makeup items. If I go buy everything that was suggested to me for review I’d be declaring bankruptcy in no time LOL!! 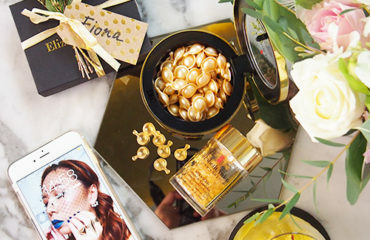 The next time you ask “Fiona can you blog about La Mer?”… now you know why. 7) Practice what I preach. There you have it! 7 blogging facts about me. Why 7? Cause I can only think of 7 at the moment lol! Hope you had fun reading. 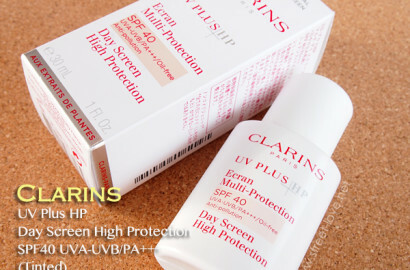 Review: Clarins UV Plus HP Day Screen High Protection SPF40 UVA-UVB/PA+++ (Tinted) + Comparison with Beige Version! I love this post. I know I ask many questions, lol. It’s fun being a reader. It is true to a certain extent, blogging daily isn’t an easy task as it seems, unless you are a full time blogger. On good days, everything goes smoothly. On bad days, writer’s block. It happens. I am still amazed with how you manage to use so many different products. 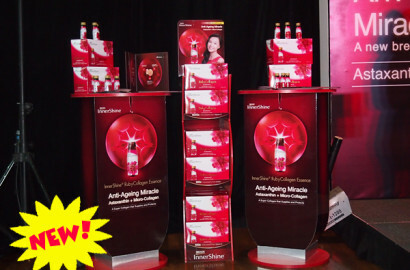 I am overwhelmed with many products at home. So the best solution, I share it with my boyfriend. Friends too but provided it suits them. I don’t want people to end up with skin problems because of my “sharing is caring” doing. 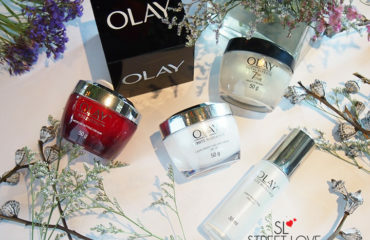 I share my skin care with my mum. Her skin condition improved a lot and I’m happy to see that. It’s so weird how one look can be influenced by using skin care. That’s me being curious. Hehe. We reap what we sow. Have to take care and maintain ourselves inside outside. I am used to asking questions. Sometimes, it is an annoying trait. Most of the time I am curious. Glad we know each other too! Hey just wondering, how much $ do u spend (on average) in a month on beauty/makeup/skincare products? Anyway, this is a really interesting post! hoping for more similar posts to come! 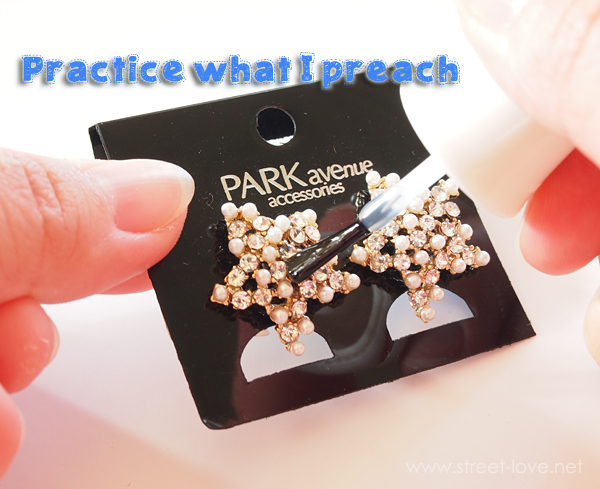 Is it polishing the earrings? Haaaa you didn’t read the blog eh? Actually it’s a tips post I posted on how to prevent crystal from falling out. Thank you Joyce! 😀 . I had to say it out because I was under a lot of stress on the blog. People are just coming from all directions and expect me to do exactly what they want!